Five train stations across the Liverpool City Region will see millions of pounds invested to improve disabled access by installing new lifts to provide step-free access to platforms. 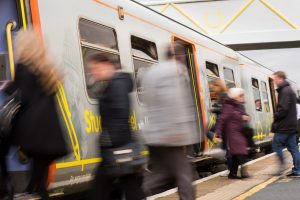 The upgrades are part of a £300m national funding package from Department for Transport known as the ‘Access for All’ programme, aimed at making it easier for all passengers to use the rail network. The stations in the region which Merseytravel and the Liverpool City Region successfully lobbied to become part of the scheme are Birkenhead Park, Broad Green, Hillside, Hunts Cross and St Michaels. Funding for the construction of a new lift for the Northern Line platform at Liverpool Central station has also been confirmed. In all 73 stations, including those in the Liverpool City Region, will receive funding over the next five years as part of the national programme. The money from central government will need to be matched by local funding, and the exact amount that will be spent on the five stations will be determined following scoping work for each specific project. Why not ask your pharmacist?